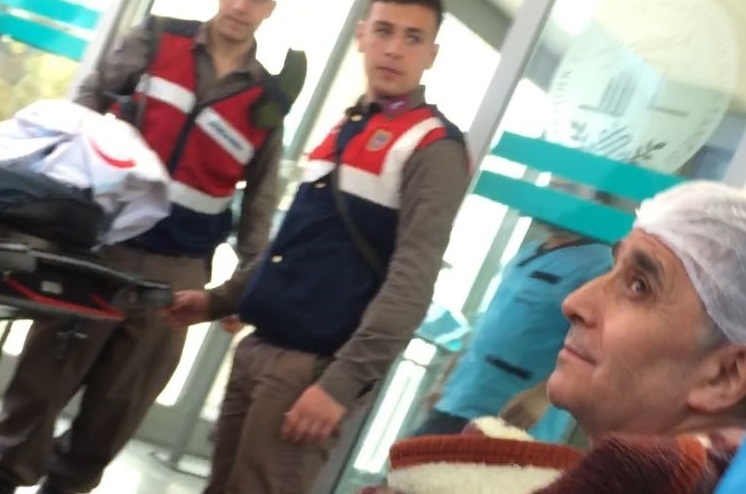 İsa Kara, a 54-year-old teacher who was fired from his job after a coup attempt in July 2016, has been held in a Manisa prison since October 2016 on coup charges even though he is partly paralyzed and suffers from a serious heart problem as well as other ailments. 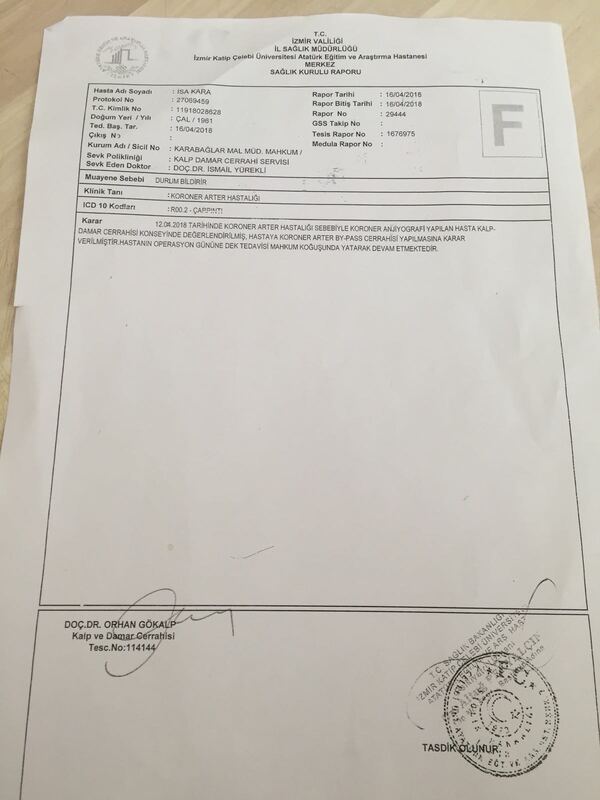 According to an email sent to Turkeypurge.com editors on Monday, Mr. Kara had worked as a teacher in the Manisa province of Turkey for 34 years. He was fired from his job with a decree issued by the Turkish government on September 1, 2016. 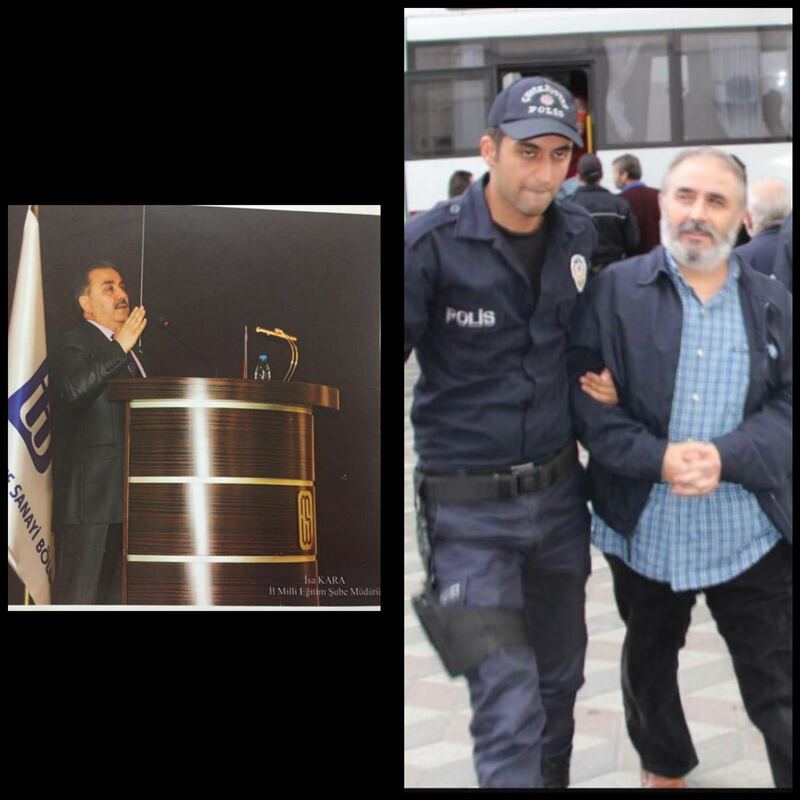 He was also arrested by a Manisa court later the same month and has been held in pre-trial detention since then. Mr. Kara is partly paralyzed and suffers from a serious heart problems. The e-mail claimed that two months before he was put in pre-trial detention, he had his first Angiogram. 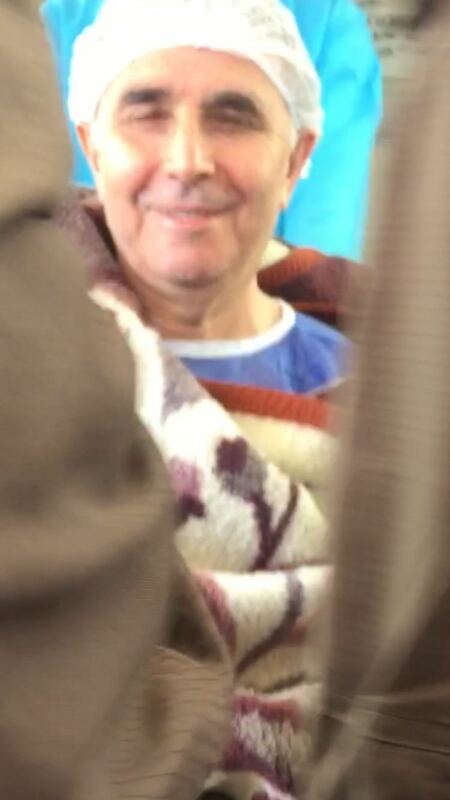 On April 12, 2018, he was transfered bythe prison management to İzmir Katip Çelebi University Hospital where he had his second Angiogram. 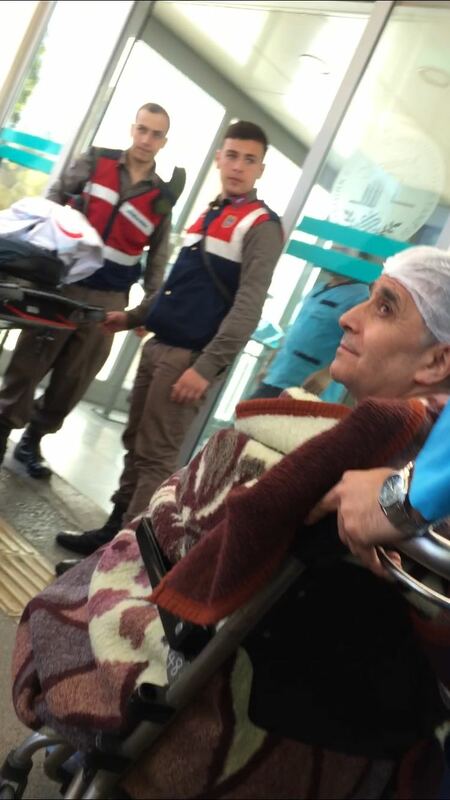 After spending 45 days in the hospital, he was sent back to İzmir Buca F Type Prison. Mr. Kara is being accused of membership in the Gülen movement, accused by the Turkish government of masterminding a coup attempt on July 15, 2016. There have been many cases of suicide and death in prison, some of which were found to be suspicious, of people who have been affected by the purge of Gülen movement followers.